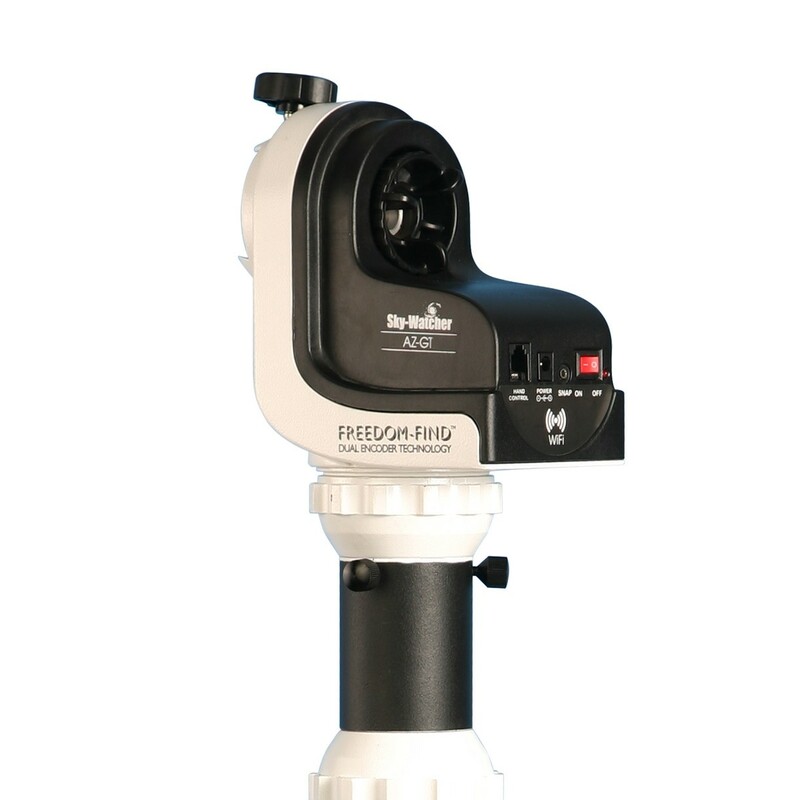 The Skywatcher Mini AZ 130 AZ-GTE Wi-Fi Computerised Telescope is a 130mm Newtonian reflector for beginner to intermediate level astronomy. The telescope is on an alt-azimuth mount which is controlled by iPhone/Android smart device. The app that controls the mount has a database of over 40,000 objects that it can find. The mount will track stars, planets, the Moon and other targets, automatically keeping them in the telescope's view. This bundle consist of a telescope and a mount. Newtonian reflector with an aluminised 130mm primary mirror and a focal length of 650mm, giving a focal ratio of 5. 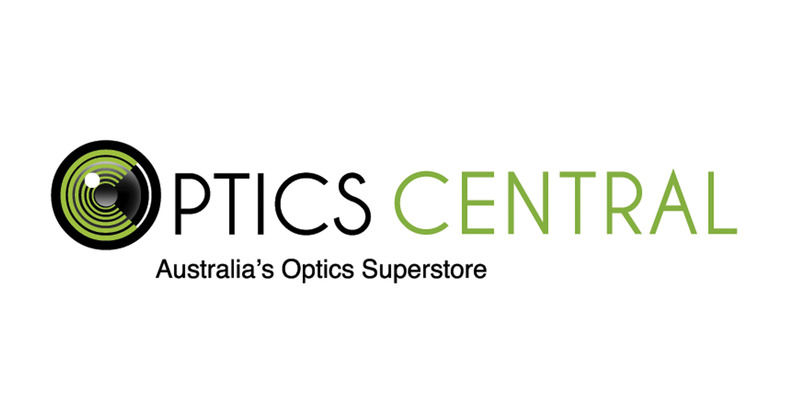 The focuser is a rack and pinion model that accepts 1.25" eyepieces, two of which (10mm and 25mm) are provided. You will get great images of the Moon, as well as good images of Jupiter and its four large moons, Saturn and its rings, as well as the bright nebulas such as the Great Nebula in Orion and Eta Carina. A red-dot finderscope helps you find your target quickly and accurately. Go-to functionality is controlled through by your smart phone. 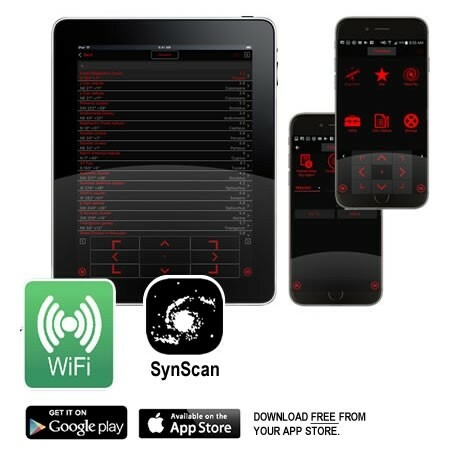 SynScan App is free through Google play or the App Store, and has over 40,000 objects in its database. 12V power provided either through batteries or external connection. Sidereal, lunar and solar tracking rates. 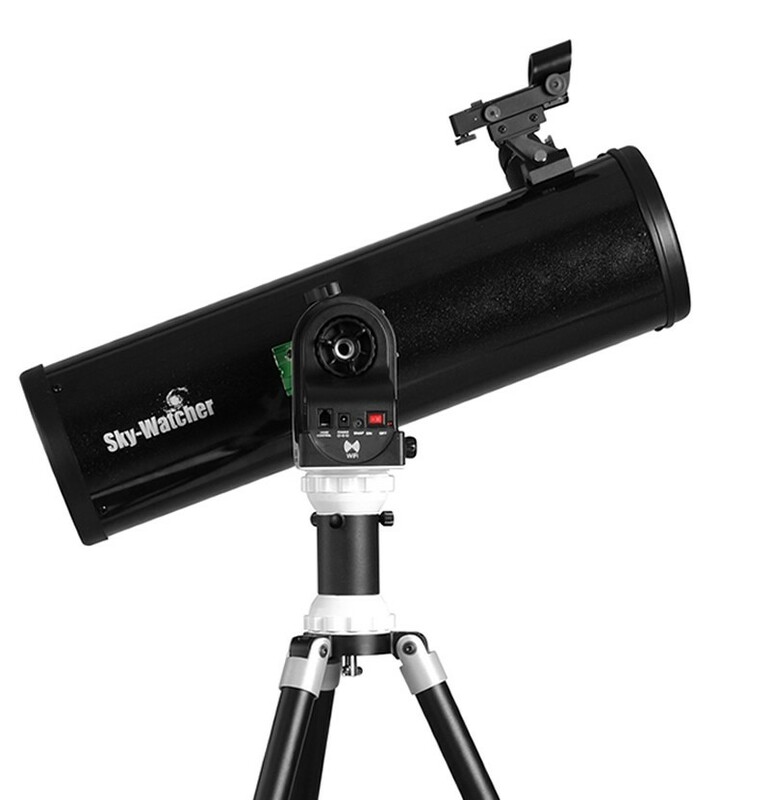 Both the telescope and the mount come with Sky-watcher's 5 year limited warranty.